Writing prompts aren’t just a jumping off point, they’re a window into an unexplored world. I came across this image above on Pinterest several weeks back, and thought it looked cool. A few minutes ago whilst browsing the app, a perfect slice of conversation to match that image popped into my head. 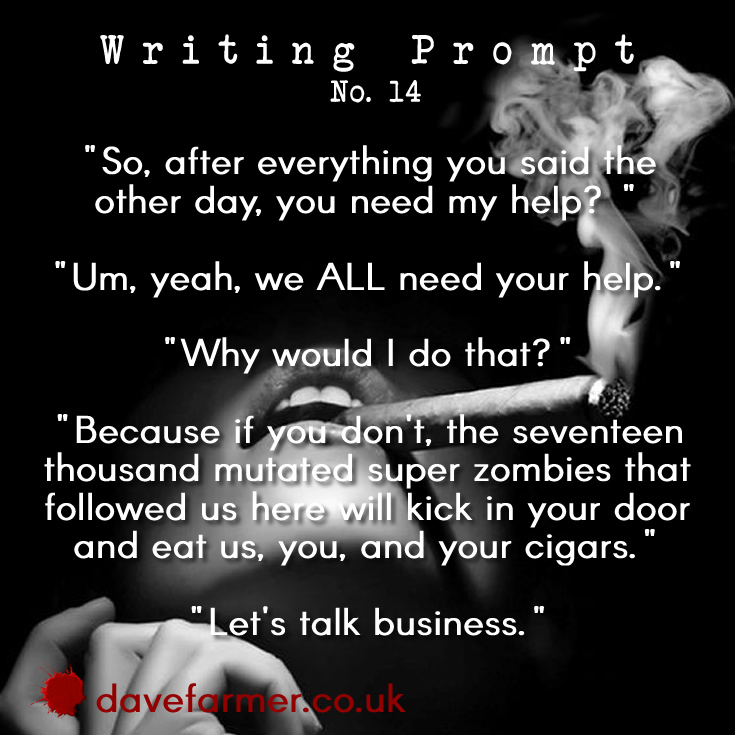 My regular blog readers will know I’m a fan of zombies and apocalypse tales. Why are many undead stories so very grotty, gritty, full of gore, blood, guts, heroes, heroic moments, and endless fighting? Okay, stupid question, those are all awesome things! However, I reckon in at least one of these unexplored worlds, there’s time for a little…glamour, or sass. Just as Negan is a complete badass we all love-to-hate (though I actually don’t. I think he’s a decent sort). I imagine this lady has similar traits, and hateful beauty that readers know (and look forward) her ultimate demise being bloody as hell. Writing Tips Wednesday – Write, the NaNoWriMo way! ← The Flat – Midlife Crisis, Depression or Alien Probing?